One of my favorite topics!! I love to have a nice bronze glow in the summer, but hate what the sun does to my skin. I do get darker in the summer (even with sunscreen) - so these are the products I am using to get a bit darker and still look natural. No Oompa Loompa Orange for me please! This towelette is not only a self-tanner specially formulated for your face, but also has anti-aging properties as well. This is one of the only self-tanners I can use on my face. It doesn't cause me to break out AT ALL. Another problem I have with self-tanners is that they can really dry my face out - this does not leave my face feeling dry or tight. I don't know how they do it, but it always comes out the PERFECT color. I have a medium, olive complexion and my sister is lighter with more pink undertones - and it tans both of our skin to a beautiful bronze color. It seems like it's almost customized to our skin. This small towelette was the perfect size for face application. It covered my entire face, neck, and I was able to blend into my chest a bit. These would be great for winter when no one sees the rest of your body! Get Tan Towel Face Tan here! STAY TUNED FOR A TAN TOWEL GIVEAWAY!! 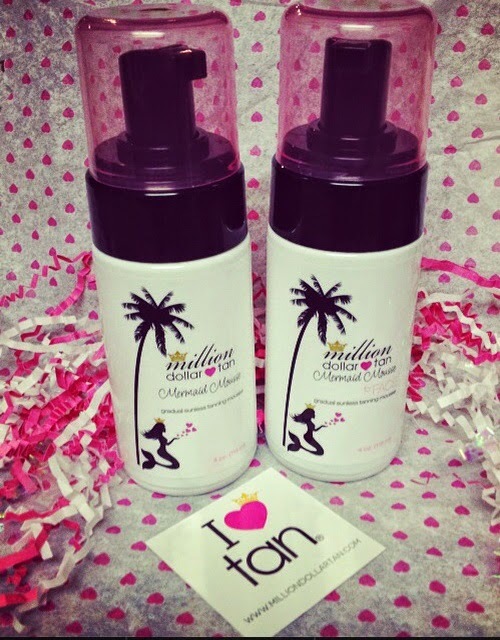 I have been dying to try Million Dollar Tan, so I was thrilled when the company sent me these to review (I am NEVER paid to endorse any products - only asked to give an HONEST review). First of all - look how adorable the packing is! I'm always a sucker for that! BUT the product itself is amazing! First - for my body I love to use a mousse. It applies so evenly, quick, and smooth. I always apply self-tanner at night and do not like to sleep in a thick lotion. In the summer I like to use a gradual tan on my body. I'm already darker than usual, so this just gives my color a bronze boost. I don't like to be super tan - and this is the perfect shade for me! I have posted on St. Tropez Mousse (my go to self tanning mousse) - I truly will only be using Million Dollar Tan Mousse from now on. Seriously! First of all - it smells like coconut. The smell of self-tanning is the worst part of the whole thing and this actually smells good!! You will still get a small hint of that normal self-tanner smell after awhile, but nothing compared to other products I've tried. I LOVE that they have scented this! I also like the color of my skin much better than the St. Tropez gradual tan color. It is a much more natural bronze color. I am so excited about this line! I will definitely be ordering and trying more of their products!! 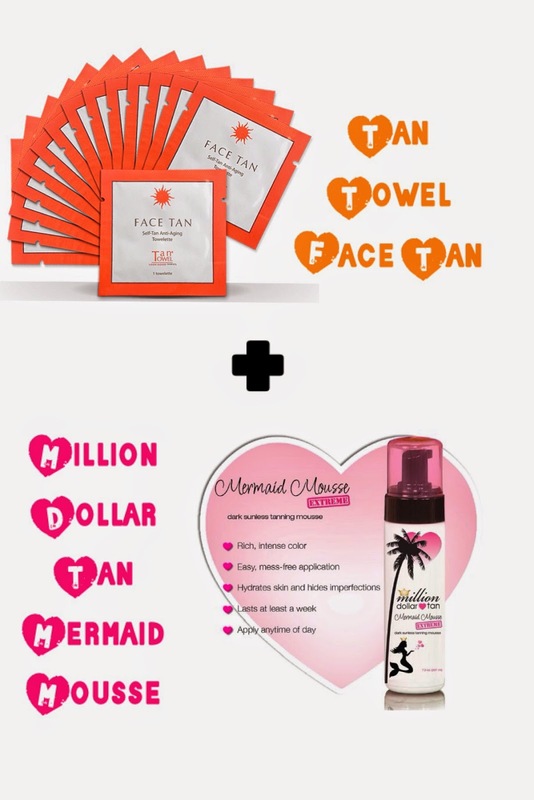 Get Million Dollar Tan Mermaid Mousse Gradual Tan here!